We have over 250 different items on the bar. 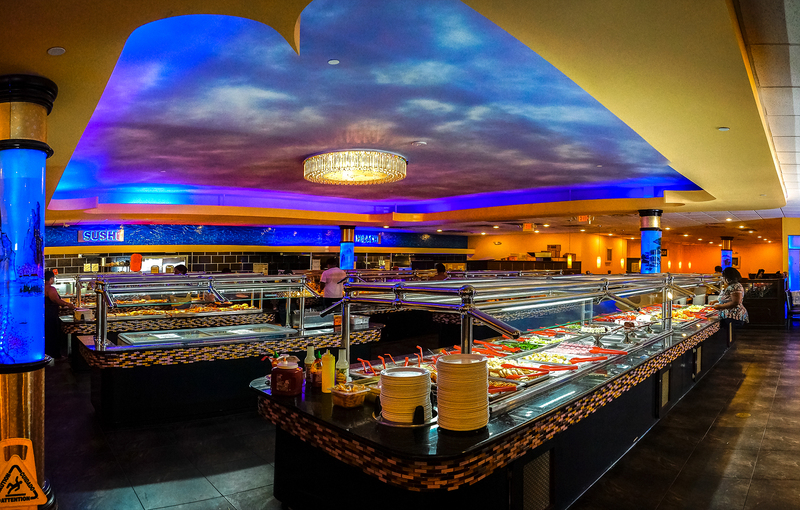 Plus we have a Hibachi section where you can pick and choose to make up your own menu, then we cook it on the Hibachi for no additonal charge. We have Ribeye Steak, Salmon fish, Black Pepper Shrimp, Ham, Cheese, General’s Chicken and different selections of Sushi. 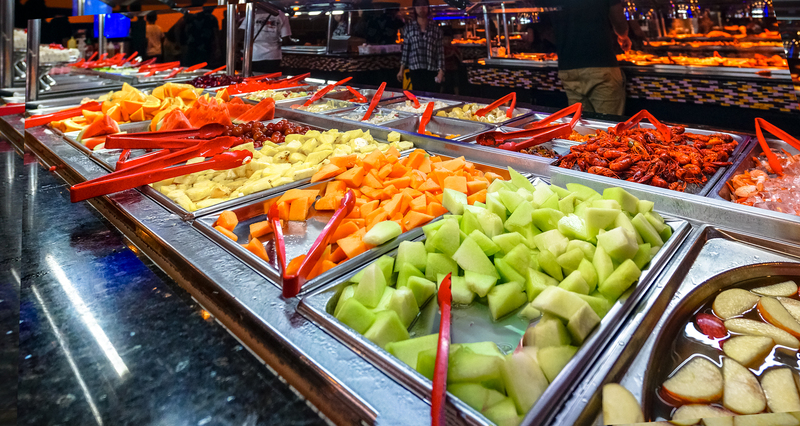 We also feature a large selection of Salads, Fruits and Dessert.